If you run a charity or not-for-profit organisation such as a school or church, then online giving can be a practical and valuable addition to your fundraising website. In recent years people have become more confident using the internet and far more proficient and trusting when carrying out financial transactions online. We can see this reflected in the growth of online donations. Online giving has become an increasingly popular way for people to contribute to charities and causes close to their hearts. According to The 2013 Charitable Giving Report overall charitable giving in the US grew a healthy 4.9% last year. However, even more impressively online giving grew 13.5%. It is important that smaller charities in particular tap into this by ensuring that they have a way to collect online donations from their websites. cost-effective collection tool – particularly for smaller charities where fundraising budgets are tight. As internet usage continues to rise globally, adding a donation button to your website should be high- up on your fundraising agenda. People are turning to the internet not just for initial information research but with the intention of carrying out the entire process from start to finish online – including the final financial transaction. As online security has improved, people have become far more willing to complete financial transactions online. Indeed online credit and debit card transactions have steadily grown year-on-year and hand-in-hand with this growing confidence in making online payments. According to The UK Cards Association’s Annual Report 2013, in the UK alone consumer internet card spending more than doubled in the period between 2006 and 2011. So how can a donate button help increase giving? Take this scenario, you have attracted a prospective donor to your to your site and they have decided that they are ready to contribute to your cause. You are far more likely to get them to convert if you can offer an immediate payment option there and then. If you send them off to make a phone call or to write and post a cheque, you run the risk of losing the donation altogether. It is important you make it as easy as possible for someone to make a donation. You must strike whilst the iron is hot or in this case whilst your prospective donor is on your site ready and willing to pay. If you donor leaves your website, the moment may have gone and you run the risk of your organisation losing out on a potential conversion. A donation button is an essential addition but don’t look at it in isolation, rather as a part of your fundraising efforts as a whole. I’m not saying that simply dropping in a donation button will suddenly solve all your fundraising problems. However using it in conjunction with your other digital tools can help increase those all important donations. Try to drive potential customers to your website donation button using email and social media. This way you have more of a chance of converting potential donors off the back of other campaigns. Once they are on your site make sure you have a good landing page where you can focus your efforts on converting prospects into potential donors. When you are looking to integrate a ‘Donate’ button, think about choosing a flexible buyer chooses value option that enables a your donor to choose the amount he or she wishes to give. Indeed, by enabling your donor choose the amount they wish to contribute you may well end up with a larger overall donation. In fact, studies have indicated that when people can actually choose the amount they wish to contribute they feel in control and are therefore increasingly likely to pay or donate a higher amount. As a small business owner you may want to consider the benefits of using a third-party to help you drive potential sales traffic through to your online business. Known as affiliate marketing, this online partnership can be attractive to SME’s as it can mean a controlled and often lower cost per acquisition. For a business with a small budget this can be an attractive proposition since, unless a result is achieved (for example an actual sale takes place) no commission is paid to the third-party. Affiliate marketing has grown steadily over the last ten years, hand-in-hand with the rise of e-commerce. Online partnerships have become a prominent part of the digital marketing mix. You are probably all familiar with larger established affiliate programmes like Amazon and VoucherCodes, well you can create partnerships and gain referrals from all sorts of sources such as review sites, directories, niche blogging sites and industry specific sites. At a simplistic level, affiliate marketing is essentially an arrangement whereby one website refers online shoppers to a merchant’s site for an agreed commission or fee. This could be as a CPC (cost per click) or more usually, CPA (cost per acquisition). think very carefully about commission. Work with your affiliate partner to come up with something that works for you both. Remember the EPA (Earning Per Acquisition) is likely reflect the effort they put into promoting your business. Equally importantly, it must be profitable for your business too. If the commission is too high then it negates any benefits the referral brings, especially if you are offering special promotions and offers as well. check that they are promoting your business in front of a new audience that it is difficult for you to reach, as you don’t want to cannibalize and pay a commission on sales that you would have made anyway. verify that they are using ethical, white hat marketing techniques to promote their business. Having your business advertised on inappropriate sites may cause harm to your brands reputation. you have the resources and time in place to work with your affiliates – a good relationship is far more likely to generate better results. The best way to get the most out of affiliates is to look at it as a partnership. Instead of randomly choosing loads of affiliates to work with, choose a few appropriate affiliate networks that operate within your industry or have knowledge of your particular niche. This way you will be able to better manage and control the partnership. The relationship should be two-way and good communication is essential. Talk to your affiliate partners, find out what offers will bring in the best success rate and let them know well in advance of any new products or features you may have coming up. Of course, just as important is the monitoring and tracking of your affiliate partnerships. This can be time-consuming especially if you have a number of different partners or affiliate networks. A good option is to integrate some Affliliate Marketing Software. There are some excellent third-party solutions available that can help you manage all your different affiliate partnerships by tracking clicks, referrals, commission, payments and so on. Whichever route you decide to go down, your shopping cart software should be able to integrate the tracking script from your chosen third-party affiliate software onto your order complete web page. 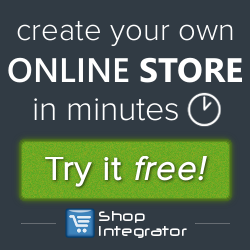 For example, with ShopIntegrator, you can easily paste the tracking script from your affiliate marketing software into the order completed web page, enabling you to identify the customers that arrived on your website from an affiliate / partner site, then went on to make a purchase from your site. The order value is then automatically fed back into your affiliate marketing software and each of your affiliates can be assigned their commission accordingly. The process becomes automated freeing up your time to better manage the relationship you have with your affiliates, rather than being bogged down by administration. For further information on integrating third-party tracking scripts visit ShopIntegrator.